There are five texts about eating habbits in some countries. To check the understanding of these texts you can use the exercise. You can also ask more questions on the texts. Thank you!!! 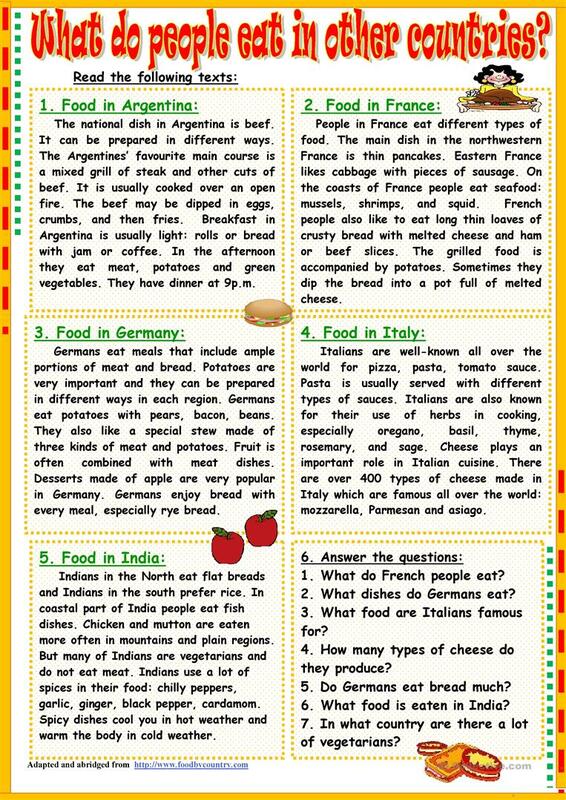 The above downloadable printable is recommended for high school students, elementary school students and adults at Elementary (A1), Pre-intermediate (A2), Intermediate (B1) and Upper-intermediate (B2) level. It is a valuable material for strengthening your class' Speaking and Reading skills. It is focused on the topic and words of Food.